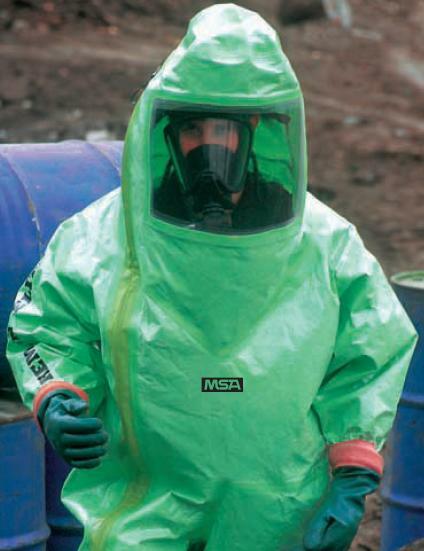 Total encapsulating suit for protection against solid, liquid and gaseous or vaporous hazards. Air supply from compressed air breathing apparatus inside the suit. Suit material: multilayer film laminate on carrier fleece; low weight, good wearing comfort.